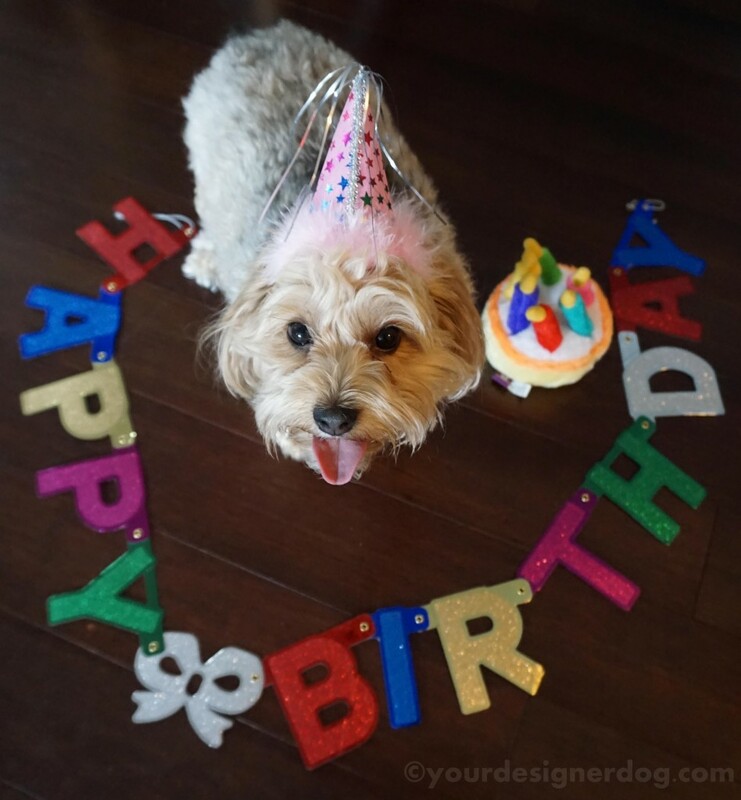 It’s time to sing Happy Barkday because today is Sadie’s 4th Birthday!!! 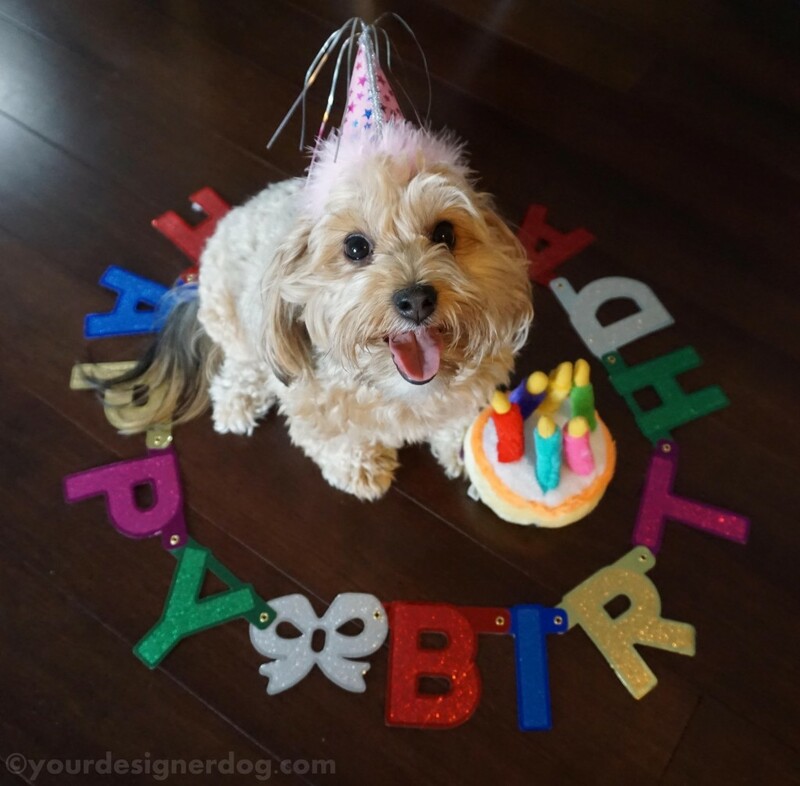 Happy Birthday Sadie! May You Have a Fabulous Day! Being nothing but mutts I don’t know the actual birthdays of mine, and I’ve lost track of their “gotcha days” (all somewhere in mid-April, I think) so enjoy you’re special day! 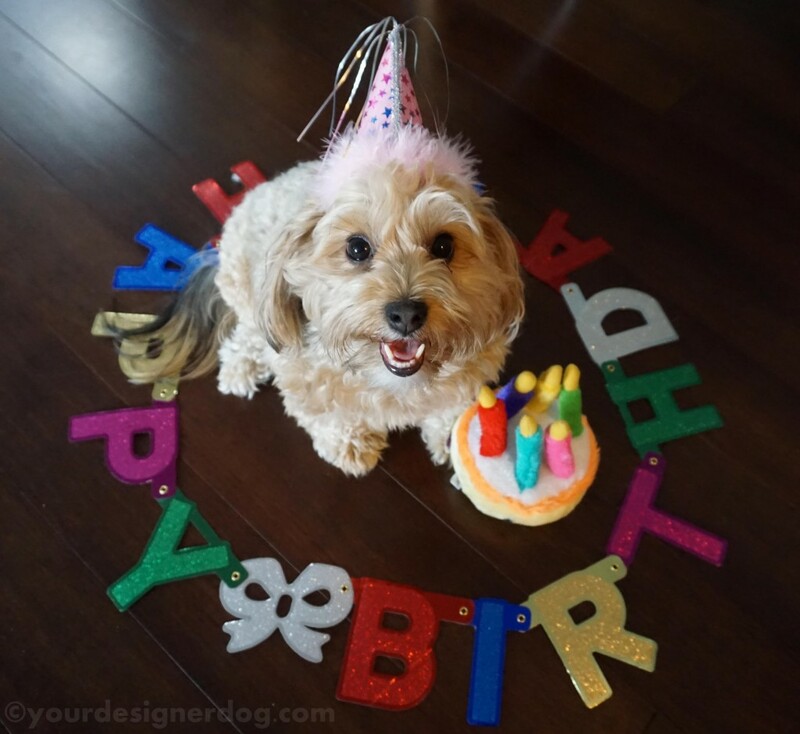 Happy Barclay Sadie – wishing you many more!